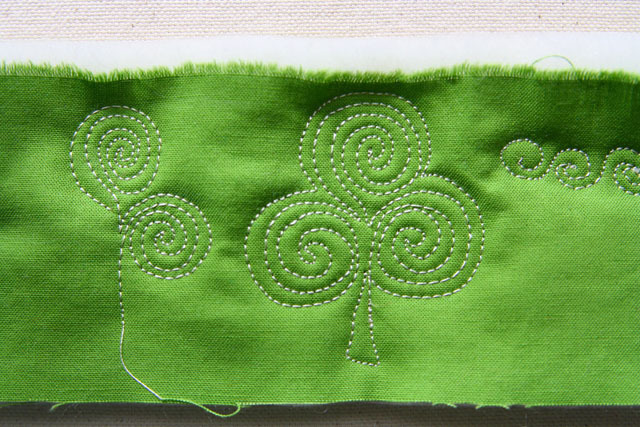 Begin with a vertical tail (this will be the stem of our clover) and then stitch the basic spiral. 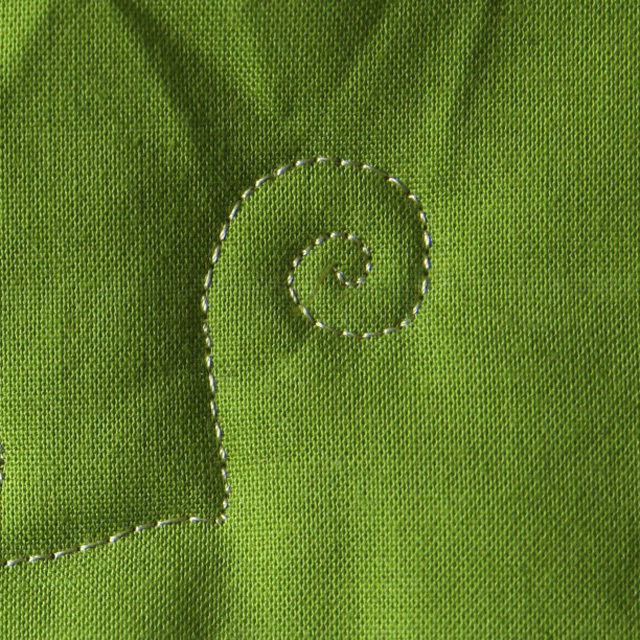 There’s a little trick here…When you get to the center of your spiral, trace back on the OUTside of your spiral. When you do this, you will end on the OUTside and you will be ready to move UP. 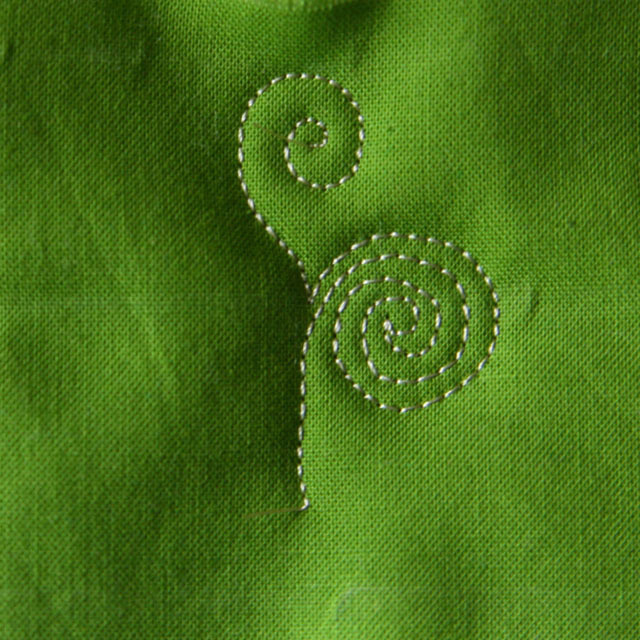 Trace around the outside of your spiral until you are back at the center “stem”. 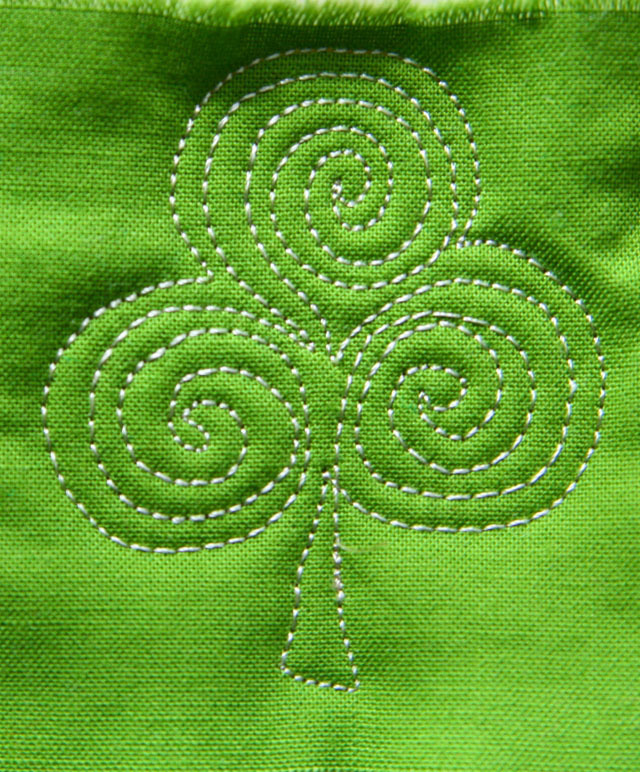 From here, begin the “top” of the shamrock by stitching another spiral. 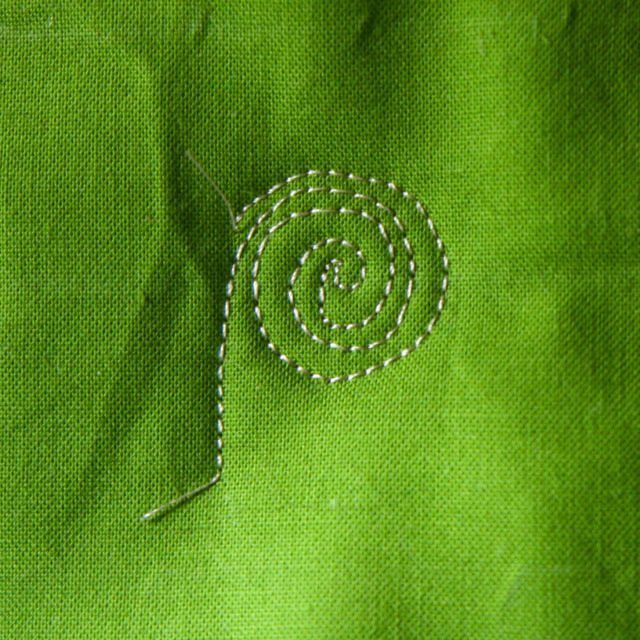 Again, spiral to the outside and finish near the center at the “stem”. And there you have it! 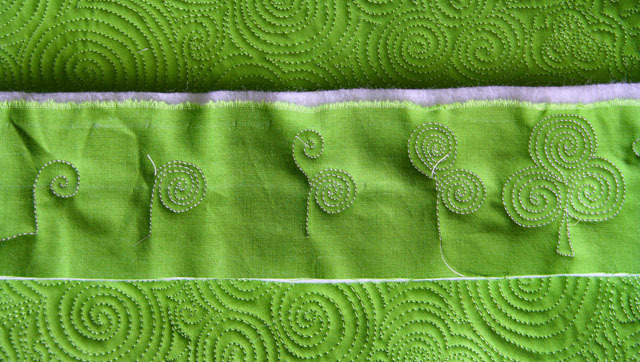 Easy as key lime pie! 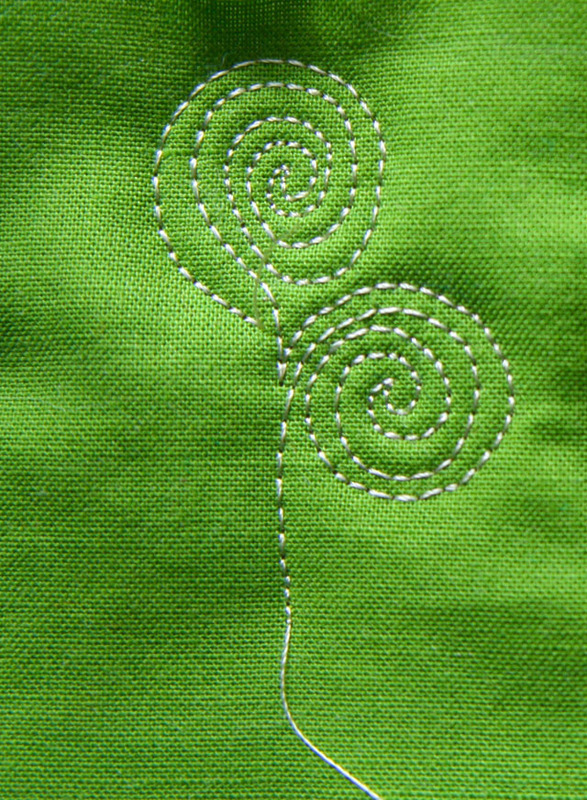 But don’t stop there…four leaves are just as easy as three! I am awaiting my new long arm..and NOW I’m getting desperate! lol Thanks for the great tutorial..
Tuesday’s are my favorite day of the week..well maybe my second favorite after Saturday. I look forward to the tutorials! Thank you. They are so luch fun. Love your tutorials I’m just starting out with free motion and very easy to follow. 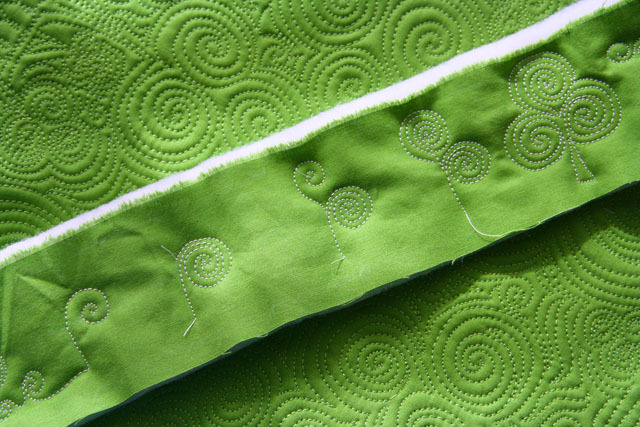 Pingback: Irish Mini Quilt – Sewing Etc.